If you replace both the shaft and head of George Washington’s ice ax, is it still the same ax? Trick question: he died before the first modern ice axe was created in 1840. 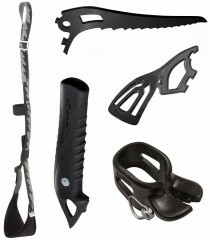 Nevertheless, you should feel free to change the identity of your ice axe by replacing these parts as often as you’d like. Everything listed here is sold individually. 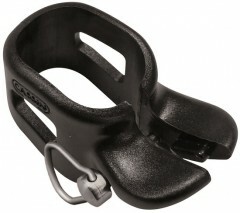 X-Alp Leash – Padded leash with a “lock open” buckle that prevents over tightening and eases entry/exit. Compatible with most ice tools and alpine axes. 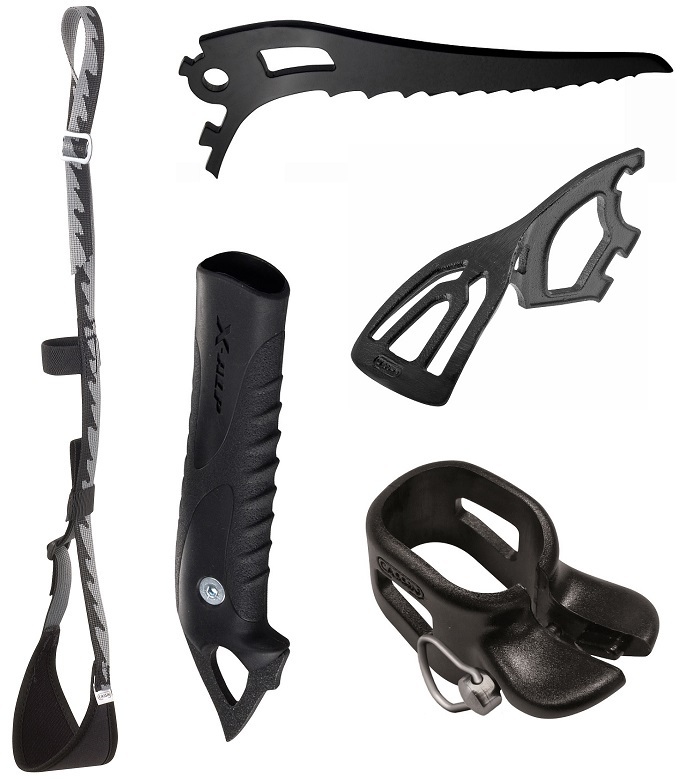 X-Alp Grip – Single density hand grip for the Cassin X-line* ice tools. Small ledge and long spike are ideal for plunging like a typical mountaineering axe. X-Dry Grip – Dual density grip for the X-line* of tools. Two ledges create space for your hand when used as an ice or dry tool. X-Dry Spike – Low-profile spike for mixed climbing using the X-Dry grip. Has small hole to connect to lanyard. X-Ice Spike – Profiled spike for alpine climbing with the X-Dry grip. Long enough for plunging on low-angled terrain and pointy enough for ice. Large hole fits a carabiner.  X-Light Adze – The X-Light adze, used as a replacement or to transform the hammer version. X-Light Hammer – A hammer for the X-Light axe. Turn your step-chopping adze into a piton warrior. X-Light Pick – Replacement pick for the X-Light axe. Looks cool without a hammer. 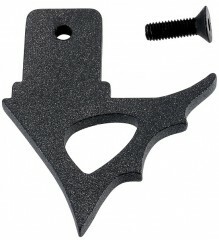 X-Trigger Fast – Replacement pommel for the X-Light axe, adjustable without tools. * X-line consists of X-Dream, X-Alp, X-All Mountain, and X-Light.